Supplied in 400g polythene screw cap jars. Dissolve a level tea spoonful (3 to 4g) of the drain tracing dye in 1 litre of water, stir well, then add to or dribble into 25 litres of cold water and pour into cesspool, drain or onto the ground where suspicion of contamination arises. 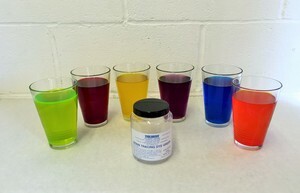 The drain tracing dye will give a coloured tint to any liquid it comes into contact with. 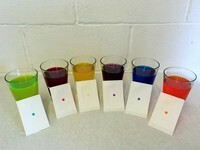 Each 400g of drain tracing dye will colour 30-40,000 litres of chemical free water.